Fidget spinners are the latest fad of 2017, primarily amongst young children. You have probably seen them on the news, in a classroom or sported by a young kid. These toys are the latest tools in helping with anxiety and keeping focused. The debate on whether or not these gadgets are actually tools or toys, has been a long going challenge. Despite the controversy, some say that these toys might actually help. Along with stress balls, rubix cubes and other toys used to keep little hands busy, fidget spinners have the same purpose. However, these toys aren't just made for children. What Do You Do With A Fidget Spinner? If you don't have internet, television or grandchildren, you might not have seen a fidget spinner in action. So you might be wondering what exactly to do with them. Users spin the toy between their fingers to help them mentally or just for fun. There are so many different fidget spinner tricks and fidget spinner games out there that have come from these popular toys. How Can Fidget Toys Help Dementia Patients? For patients with dementia or Alzheimer's, it is very important for them to engage in some kind of activity. Which is why some people even recommend the popular fidgeting toy to elders with dementia. When dementia patients get agitated, it can sometimes be a difficult task to try to calm them down. Fidget toys are said to help calm an agitated mind by giving them something else to focus on. For some elders with dementia there is a limited list of what they are able to do. The good thing about fidget spinners is that they are simple to work. The spinners come in a variety of different colors, sizes and materials, but what makes these especially great for senior living facilities, is that they don't make a lot of noise. Not just for elders with dementia is a fidget spinner handy, but for those with arthritis as well. Because the spinners can fit into someone's hand, they can help strengthen the muscles in the hands and fingers to maintain the ability to use them. Using these muscles helps to reduce stiffness and pain in joints. Fidget spinners can help with the physical well being of our elders, but also with their social well being. It provides a way for grandparents and great-grandparents to connect with their grandchildren. These youngins' have probably heard of fidget spinning, if they don't already have one themselves. Children will be ecstatic to know that their elder family members play with the same things they do. They might be able to teach you a few tricks too. 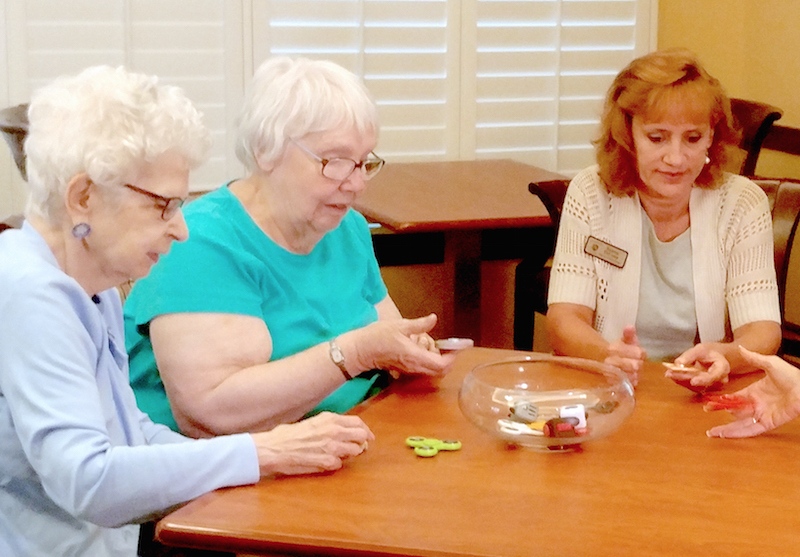 Following the trend of the rest of the youngsters in the world, staff at Senior Star Living Facilities started a program for their memory care residents to utilize fidget spinners. 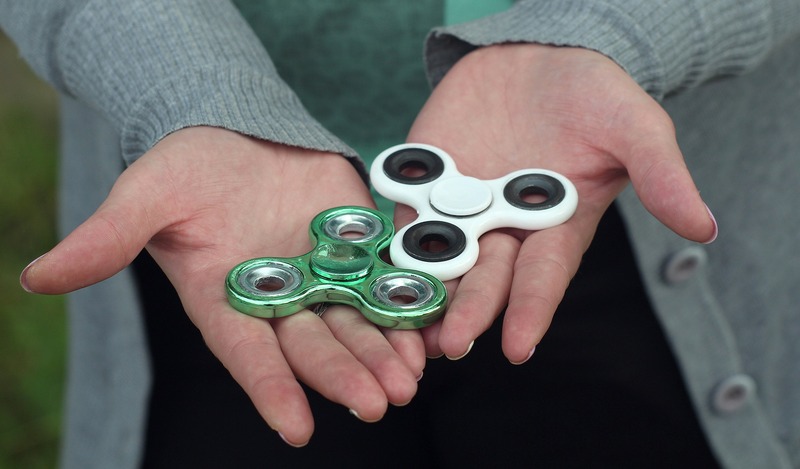 The program allows residents to freely use fidget spinners that are found in the common areas of the facility. They can choose to keep the tools for as long as they like and many residents actually do. One of the residents of the memory care facility has a collection of fidget spinners, but also uses a fidget cube to help fall asleep at night. They started the program with one specific resident in mind, but were surprised when other residents became curious too. Staff at the facility are hopeful that the results from the program will indicate that there are residents who have benefited from the activity. For years, adults and children have looked to other objects to manage their fidgeting. Pencils, rocks, paper clips and stress balls have some new competition to watch out for these days. As a caregiver, don't overlook the fidget spinner craze as just for children. It might just help to look into this new fad to see if it works for your patient or loved one. You can find metal fidget spinners, light up fidget spinners and so many other cool ones! Below are just a few simple fidget spinners on Amazon that we would recommend to seniors. 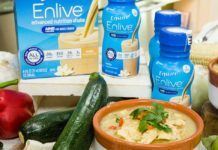 Previous articleDoes Medicare Cover Chiropractic Care?